William's professional acting career has taken him all over the world. Born in Holmdel New Jersey, he received his Bachelor of Fine Arts degree in Theater from Rutgers University. As part of his training, he performed at the Edinburgh Fringe Festival and studied abroad at the London Academy of Theater. Working in New York, he appeared in commercials for Lend America and IBM.com, and booked two North American tours- the lead in The Adventures of Don Quixote (National Theater of the Performing Arts) and The Buddy Holly Story (Phoenix Productions). He then appeared three times on the television show 100 Centre Street, directed by Sidney Lumet, and performed in New York productions of Steven Dietz's God's Country and John Patrick Shanley's The Big Funk.  In 2004, William began his graduate studies at the University of Delaware's distinguished MFA program, which led to starring roles at the Texas and Pennsylvania Shakespeare Festivals and a Beijing production of The Miracle Worker. Relocating to the San Francisco Bay Area in 2007, William spent the next six years appearing in industrials, a feature film, a music video and performing at some of the most beloved theaters in Northern California, including five seasons with Marin Shakespeare Company, The San Francisco Playhouse, Sacramento Theater Company and Santa Cruz Shakespeare. He now resides in Los Angeles where he is focusing on tv and film roles. Recent projects include "Delirium" with Topher Grace, "Straight Outta Compton," and the Coen Brothers film, "Hail Caesar!"